Sarah Gibbons is a real triple threat – so we’re very excited to bring you her Triple Threat! 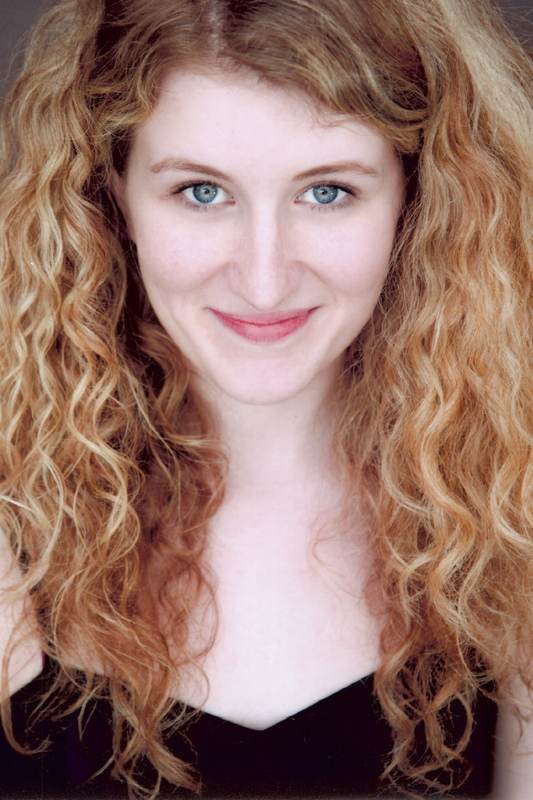 Sarah is a graduate of Randolph Academy and holds an MA in Musical Theatre from The Royal Conservatory of Scotland. She has played Dot in Sunday in the Park with George, Polly in Crazy for You and will be starring as Cordelia in our upcoming production of Falsettos. What musical will you always remember for its music? Sunday in The Park With George for sure. I’m a huge fan of the entire Sondheim canon, but I definitely favor this one because I got the privilege to work on the show and play the role of Dot/Marie in Edinburgh. The way Sondheim’s detailed score can depict so many images and emotions makes me wish he could just underscore my entire day. I’m obsessed. Some of those chords and syncopations, dude! Myths and Hymns by Adam Guettel comes in a close second. Technically this isn’t a musical but it won three Tony Awards in 1999. Swan Lake choreographed by Matthew Bourne, hands down. I saw it in a beautiful theatre in Scotland that was right next to my new flat. It’s a contemporary version with men as the swans. It had so many styles of dance and it was incredibly theatrical. I got tickets shortly after I arrived in Glasgow, so apart from being completely jet lagged and positively overwhelmed, the story that the choreography told made me lose it. This was the first time a dance heavy show made me that cathartic. Not to mention really hot European men dressed as magnificent swans. This is a tough one. I’m going to have to cheat and say a play, The Children’s Hour by Lillian Hellman. I saw a production in London with Keira Knightley, Ellen Burstyn & Elizabeth Moss. I was a huge fan of this piece beforehand because of its unpredictable twists and shocking subject matter for its time. I loved all the big name actors, but, a lesser-known actress, who was probably about 30, portrayed the manipulative young schoolgirl, Mary and stole the show. She completely embodied the character and brought her off the page to the stage, it was mesmerizing and chilling. You’re on a desert island and you can only bring on cast recording. What is it and why? The Book of Mormon. I never ever get sick of its brilliant punch lines and it would keep me laughing for eternity. Plus it’s my two favorite things combined. South Park and Musicals. I have too many, but Shrek The Musical. It has such a great soundtrack; the book is pretty hilarious because it absolutely stayed true to the film and its characters. The original cast were super awesome. I don’t feel overly guilty for loving it though, because I think Jeanine Tesori is a fantastic composer. I feel pretty silly cause I like this one song from Carrie The Musical (one of the biggest Broadway flops) called “I’m Not Alone”. It’s awful. Actually I think it was cut from the show. Because it’s not on the recording..which I have..
What movie musical would you love to see musicalized? Probably The Goofy Movie. It’s so underrated! 90’s pop what’s up? I (accurately) Wikipedia’d the composers, Carter Burwell and Don Davis, turns out they’re still around and write scores to lots of great films. They should definitely write a musical. The songs are dangerously catchy although one more Disney musical and Broadway may combust. Also, I’m not quite sure how the actors would rock the dog (?) costumes. I’m up for it. You can catch Sarah in our upcoming production of Falsettos. For more information you should defini,tely visit his website at theericmorin.com. Do You Want What I Have Got? 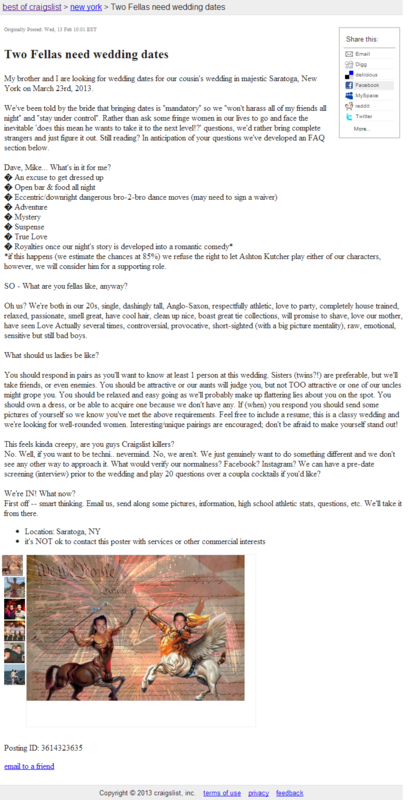 A Craigslist Cantata must close this Sunday, March 3. Buy your tickets now before this Toronto hit begins its Canadian tour! Visit our website for more info. As we get into high gear for our upcoming production of Falsettos, take a trip with us through William Finn’s Songbook every Friday. Let us know your favorite Finn forays, songs and anecdotes as they come up! In this Theatre Talk interview, 25th Annual Putnam County Spelling Bee creators William Finn and James Lapine talk creation process, production and what it takes to create one of the first great musicals of the 21st century. I’m back at work! And so where are the kids you might ask? We have a fantastic live-in-nanny. She came to us from Hong Kong in September and helped out while I was off so that we could have a 1:1 ratio with the kids when they were little. Now that I am back at work, she is at home with them. She is outstanding. She is great with the kids and they adore her. You are currently browsing the The Musical Stage Company blog archives for February, 2013.